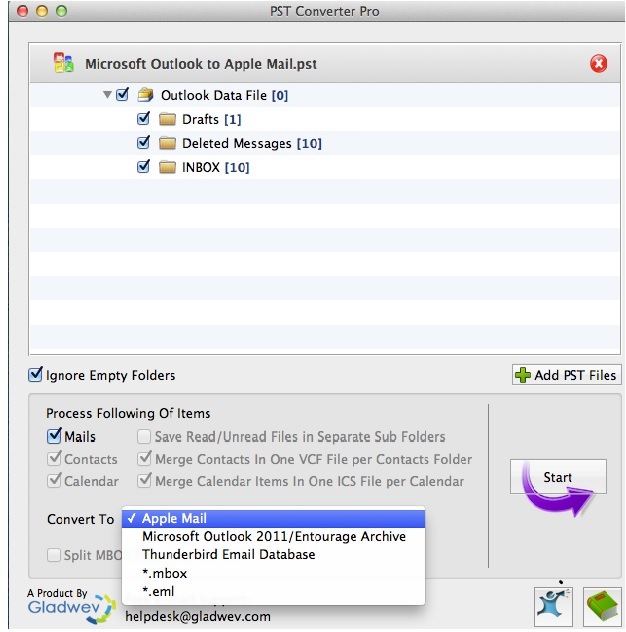 PST Converter Pro allows users to convert e-mails, contacts and Calendar from Microsoft Outlook or PST files to Apple Mail Archive. Convert your Mails/Contacts/Calendar from Microsoft Outlook or PST files to Apple Mail Archive. Your outlook folder’s hierarchical structure will be preserved in Apple Mail Archive. If you need more information please contact the developers of PST Converter Pro (PSTConverterPro.com), or check out their product website.